Configuring Puerto Rico’s electric system into 10 minigrids could bring the island much-needed resiliency at a competitive price, according to a white paper issued by Siemens this week. “Resilient by Design: Enhanced Reliability and Resiliency for Puerto Rico’s Electric Grid” describes a plan that segments the island’s grid while boosting its renewable energy supply. “The massive devastation caused by hurricanes Irma and Maria — combined with the steep drop in the cost of renewables and battery-based energy storage — offer Puerto Rico a rare and powerful opportunity to redesign its power system, producing a significantly more resilient grid by design that will ensure a steady flow of cleaner and higher quality power for its residents and businesses,” says the white paper. 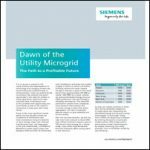 Under the definition put forward by Siemens, minigrids are larger versions of microgrids. One minigrid, for example, could encompass San Juan, the island’s capital and largest city, which requires about 513 MW. 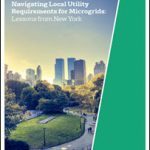 By contrast, microgrid capacity is usually under 100 MW, and sometimes under 1 MW. Both microgrids and minigrids can island from the central grid and operate independently. Siemens’ plan also envisions microgrids serving small critical loads on Puerto Rico. To serve most of the island, the 10 mini-grids would rely heavily on solar and energy storage. Use of these technologies helps bring down the cost of remaking the island’s grid to $80 to $100/MWh. This compares to costs of about $180/MWh that Puerto Rico identified to upgrade its grid in its 2015 integrated resource plan (IRP), according to the white paper. Siemens developed the minigrid plan to inform Puerto Rico’s next IRP, which is expected to guide efforts to create a more storm-ready grid. The minigrids would make the island’s power supply 35 percent renewable energy, and only cost 7 percent more than a base case plan that integrates 20 percent renewables. Siemens describes the increase as modest “when considering the devastating impacts to the economy” of Level 4 hurricanes like Maria, which caused the longest power outage in US history, and the world’s second longest. More than 1.2 million households, or 75 percent of those on the island, remained without power for more than a month. Considering storm recovery costs, the green mini-grid plan becomes “the least cost option,” the white paper says. More specifically, integrating the minigrids produces a levelized cost of energy (LCOE) of about $95.74/MWh compared with $89.51/MWh under the 20 percent renewables plan. When operating in island mode during grid outages, a mini-grid’s cost becomes $152.49/MWh. The minigrids would contain about 311 MW of energy storage, 3,043 MW of solar photovoltaics and about 931 MW of small combined cycle gas generators. The design envisions minigrids that could, if necessary, run for months in island mode, each governed by a minigrid energy management system (MGEMS). During normal operations, the minigrids would be interconnected, operating together as a larger system to achieve efficiencies. “This approach is tailored to meet Puerto Rico’s specific needs and would optimize a wide array of resilient energy infrastructure options by lessening reliance on one central power source, and, shorten the duration of any outages and minimize emergency power restoration costs brought about by natural disasters,” said Alan Bloodgood, senior vice president of energy and infrastructure of Siemens Government Technologies. Siemens is not the first to propose minigrids to improve Puerto Rico’s power grid. 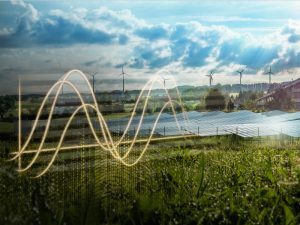 AES last year recommended a network of regional mini-grids powered by up to 10,000 MW of solar and 2,500 MW of battery storage. Download Siemens’ “Resilient by Design: Enhanced Reliability and Resiliency for Puerto Rico’s Electric Grid,” from the Microgrid Knowledge White Paper Library.